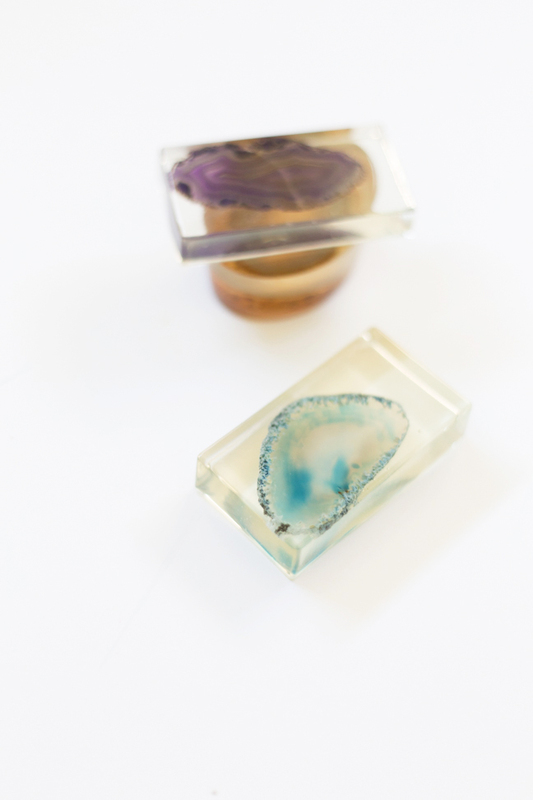 I’ve been dying to make a project with resin lately, and when I saw some beautiful glass paperweights on the Pottery Barn website, I knew I could make my own version. Plus, with resin you can get the look of glass but encase anything you like in it. 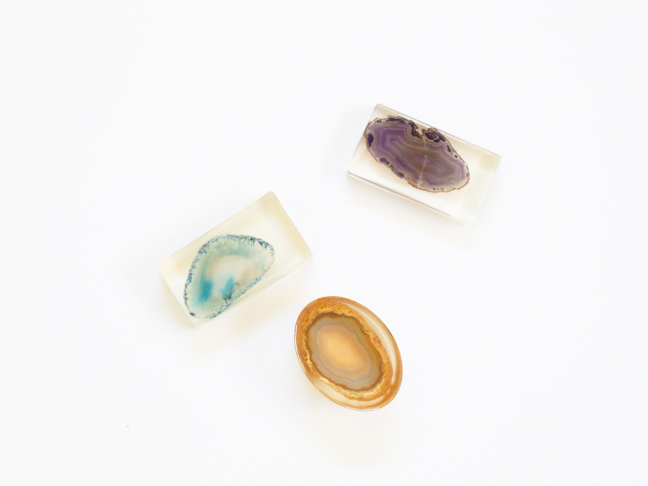 I used some slices of agate stone to make mine, but you could easily turn this into a fun project for the kids by using some toy dinosaurs instead. 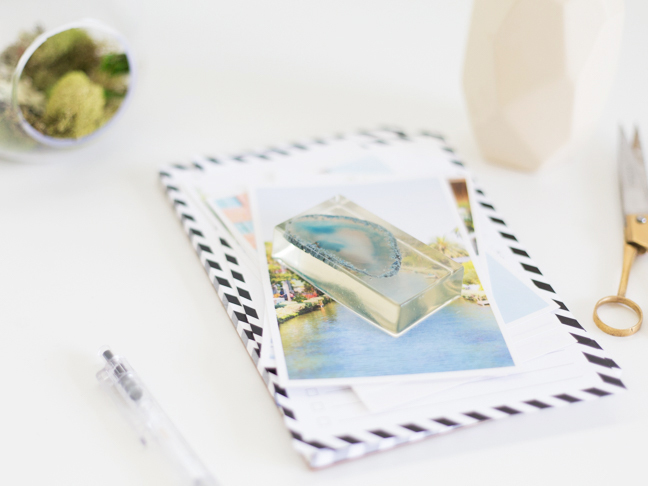 Follow along to make your own DIY resin paperweights. Step 1: Start by reading and following all of the instructions on your resin kit. These are strong chemicals and you want to be sure to use them properly. 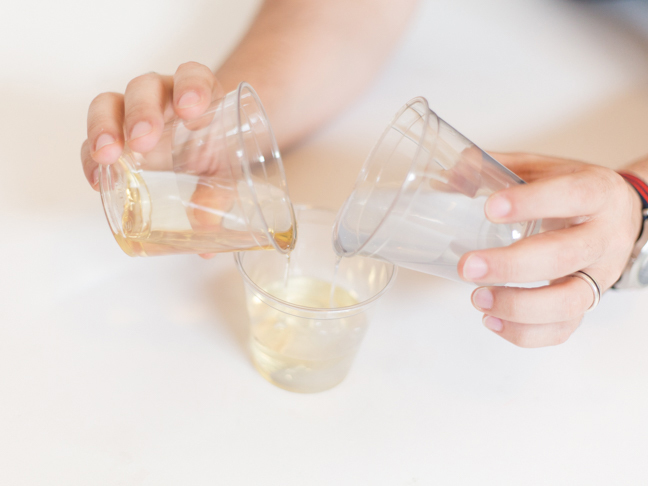 A resin kit will generally provide you with two bottles of liquid that you mix together to create a mixture that will harden over time. 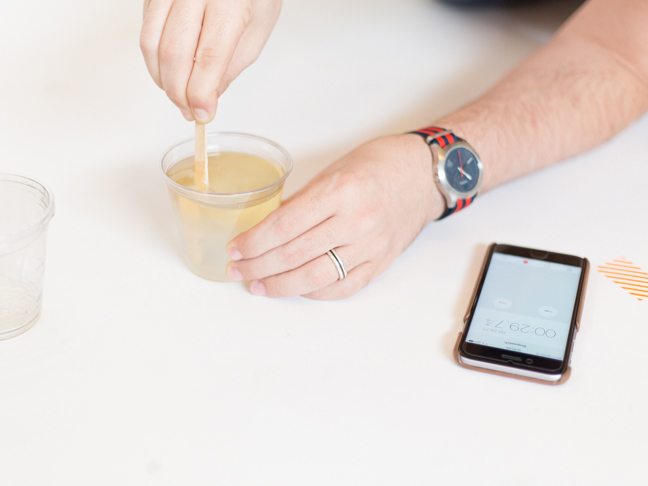 Start by measuring equal parts of each liquid into your cups. 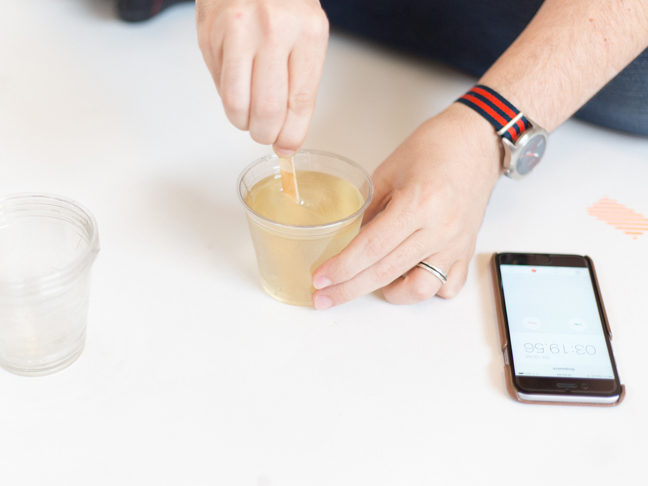 Step 2: Combine the two liquids by pouring simultaneously into a new cup. Step 3: Stir together constantly for two minutes. 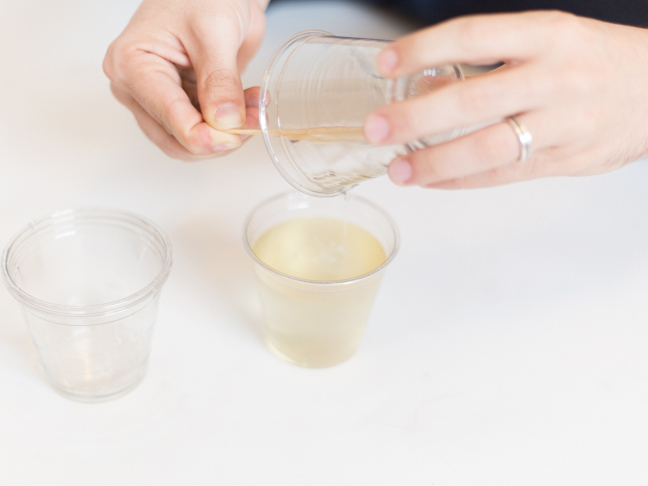 Step 4: Pour that mixture into another container to fully mix the two liquids. Then stir for another minute. 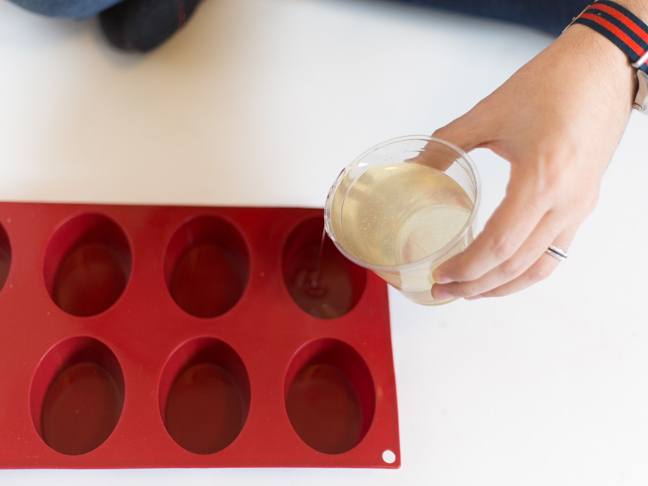 When the two liquids are completely mixed, you should see a clear mixture with no strands of color. Step 5: Pour a little bit of the resin into the mold and let set for fifteen minutes to create a base layer. 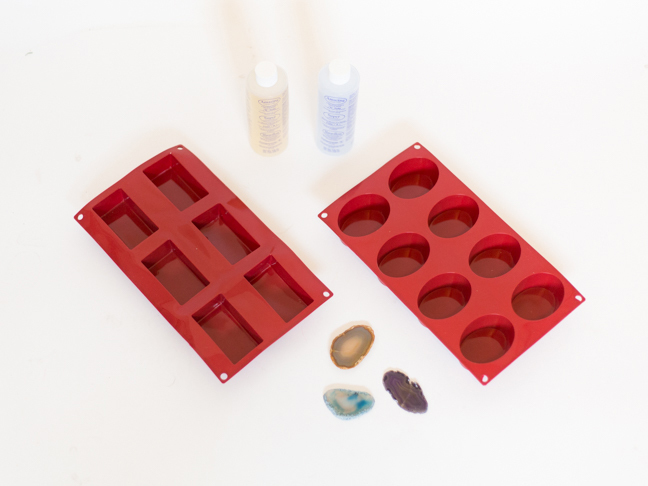 Step 6: Place your agate stone (or whatever item you are encasing) into the mold and continue pouring resin until the object is covered. Step 7: Set aside and let the resin dry for a few days, and once it has hardened you can pop out your new paperweights! Step 8: Resin can be sanded, so if you have any sharp edges, just sand them down so that they are smooth. 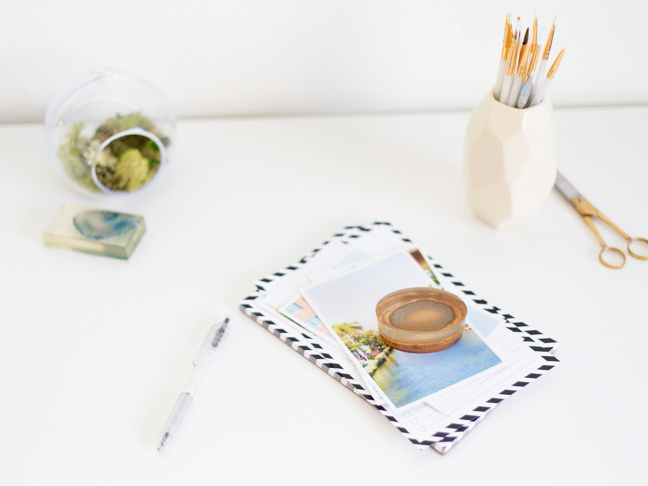 Stack them up and make your desk organized and pretty!